Eight postcards I received before 2016 Chinese New Year holiday. 1. Isidora & Arseniy from Prilep, Macedonia. This is postcard ID no. 25 on postcrossing. They wrote, "Dear Wak! We are Isidora and Arseniy - sister and brother from Prilep, Macedonia. We play piano, read books, collect stamps and postcards. Look at our profile how we play piano! 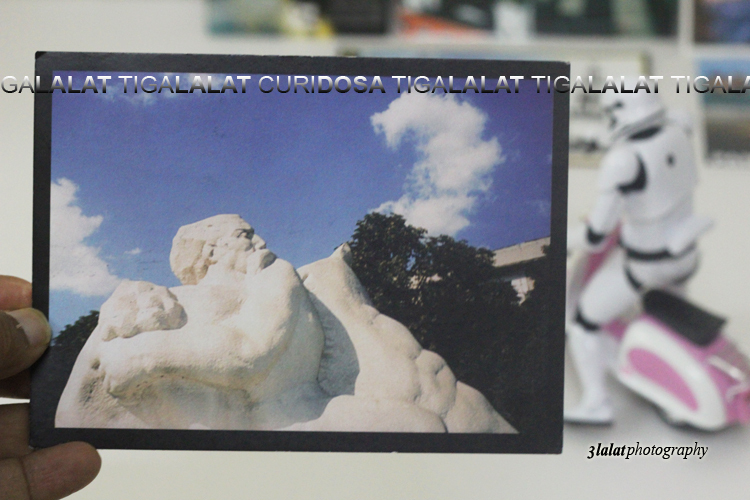 On this card is sculpture "King Marco" from 1963. Greetings from Macedonia. MK-5805"
2. Hanis, a Malaysian student in Czech Republic. 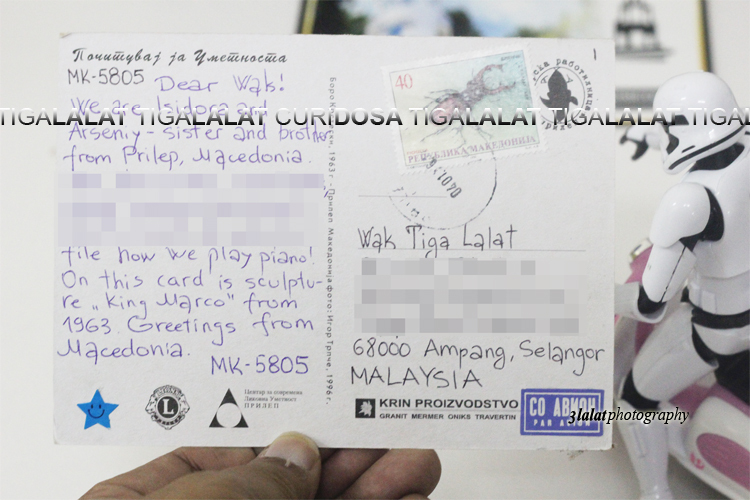 She wrote, "Salam Wak, terimakasih sebab sudi swap postcard dgn saya. Thanks jugak introduce postcrossing. ") Saya ada exam dlm 2 minggu lagi. Doakan ye. p/s - boleh makankan keropok lekor utk saya? Homesick Haih... - Hanis"
3. Saxman from Taiwan. He wrote, "Hi Wak, nice to meet you. Thank you for your postcard (MY-298032). My nickname is Saxman and I live in Taiwan. Taiwan is located in Pacific Ocean, and it is a beautiful island! If you have a chance to travel, welcome to Taiwan, you will have a different trip! Hope you'll like this postcard. Happy postcrossing! - Saxman"
4. Azka Affandi from Yogyakarta, Indonesia. She wrote, " Hello Wak, greetings from Indonesia! I have sent you a postcard a couple weeks ago but then they returned it to me, so I decided to send you a new one. Bagaimana harimu? Yogyakarta (the city where I live) selalu hujan selama satu minggu ini. I always love rainy day! Semoga harimu menyenangkan :)"
5. Judith from Austria. She wrote, "Hello from Austria! Thanks for the swap! 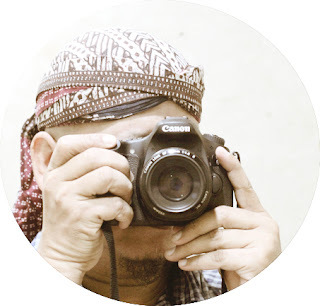 I like photography too. At the moment, my favourite camera is my fuji X20 and my old Polaroid SX70. Too bad, there are no more original instant films available. The new ones aren't that good and they're too expensive. Wish you all the best! - Judith (Jusie)"
6. CPL from Aceh. She wrote, "Assalamualaikum, wish u happy always and good luck." 7. Hernie from Perak, Malaysia. She wrote, "Assalamualaikum! Nama saya Hernie bt Hamdan. Berasal dari Cheras, Kuala Lumpur dan bertugas di Lambor Kanan, Perak. Saya terjumpa postcard ni masa mengemas so surprise untuk Wak! Wak suka sunset kan? Ok. Terimakasih kerana sudi swap poskad. Rezeki subuh wak! Alhamdulillah, dapat GF poskad dari Wak! - Hernie"
Handwritten postcard from Isidora & Arseniy of Macedonia. Thank you!